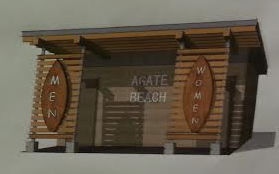 Agate Beach Area Wayside Improvements is the official name of this city project; however, the site of this project is not at the existing Agate Beach Wayside but instead is at Agate Beach between the Lucky Gap Trail and Roby’s Furniture and Appliance. The residents of the area are most interested in less auto and foot traffic and parking issues in their small neighborhood. They would also like better public restrooms. Facilities are currently comprised of a porta-potty at the head of the Lucky Gap Trail, well away from where most surfers access Agate Beach for surfing. 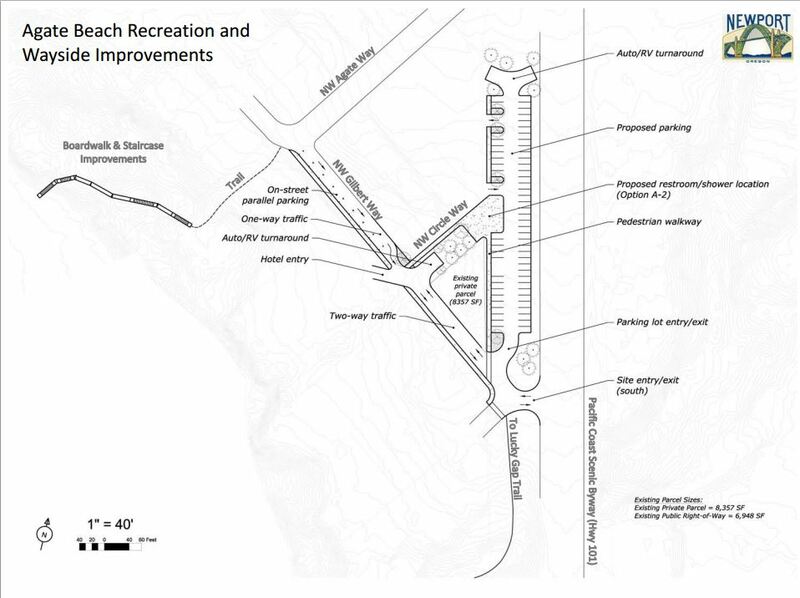 The city has plans that are very advanced and are favoring a two way street improvement of Gilbert Way that would connect from the Lucky Gap Trail parking area to Agate Way where surfers now typically park to access Agate Beach for surfing. Also in the plans are a restroom with outside cold showers and improvements to the existing community trail that leads to beach. Community residents are concerned that this improvement could bring more auto and pedestrian traffic into their area. Surfrider is encouraging the city take factors into account like the current lack of ability to check surf at the proposed site and the fact that parking at the proposed site is currently not used frequently by surfers because the walk to the existing community trail is much farther than parking in the neighborhood. Also, a more direct trail from the restroom to the beach should be explored to bypass the neighborhood and provide more convenient access to the beach. It is fairly late in the planning cycle and plans for construction must be submitted by next March. So, if any changes are to be done now is the time to request those changes. The city website on this project does not have very detailed plans and those that are there are not what they showed at the meeting held on December 18th but this link gives you an idea of what they are planning (http://www.thecityofnewport.net/dept/pln/documents/Agate_Beach_Wayside/Concept_Plan_Site_Map.pdf).